LOS ANGELES -- Joe Pavelski broke a tie with his second goal early in the third period, and the San Jose Sharks opened their playoff return with a 4-3 victory over the Los Angeles Kings on Thursday night. Brent Burns and Tomas Hertl scored for the Sharks in their first postseason game since losing four straight to the Kings in 2014, completing a seven-game flop in the first round. Los Angeles rode the momentum to its second Stanley Cup title, but both California rivals missed the playoffs last year. 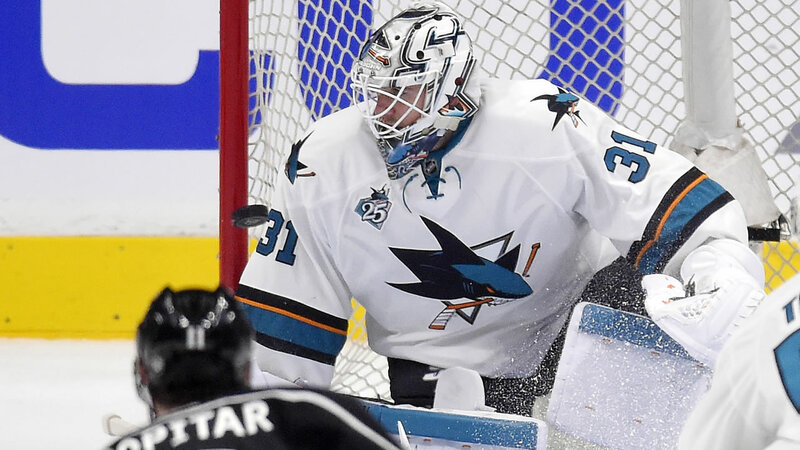 San Jose's Martin Jones made 19 saves against his former Los Angeles teammates in his first career playoff start. Trevor Lewis scored a short-handed goal and Jonathan Quick stopped 19 shots for the Kings. Game 2 is Saturday night at Staples Center.